KATHMANDU, Sep 08: The influx of tourists has surged in the Solukhumbu’s Khumbu region with the arriving season. With the ease in the monsoon clouds the number of tourist influx increases till the mid of October. In the off-season the June and July, the region remains silent and now with the return of entrepreneurs the activities have surged on, hotel entrepreneur in Khumjung Sonam Chiring Sherpa said. Now the monsoon has eased and now the cleaning up of hotels, shop, restaurant and lodges along with stock piling of necessary things is going on another hotelier Dawafuti Sherpa said. With the start of the September the number of tourists has surged up and now more than One Hundred Tourists are taking up the steps from Lukla via Sagarmatha Conservation Area. 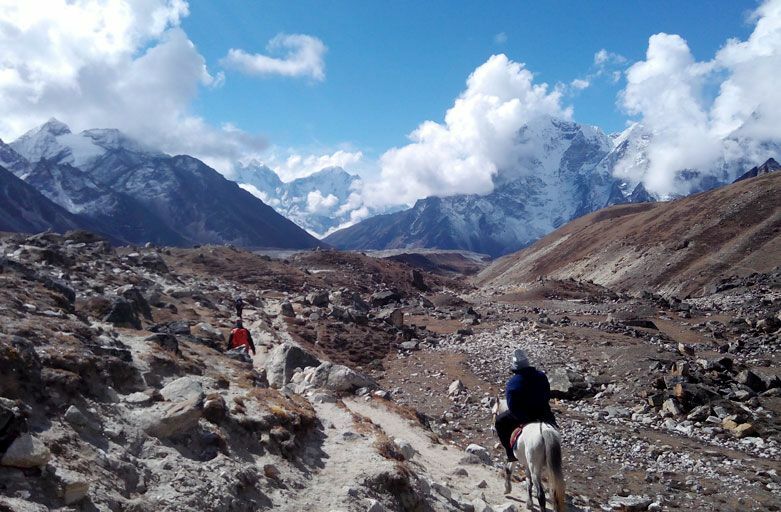 The Sagarmatha Region is flocked with tourists in this season amongst the whole year and the number of fights to the Luka Airport also has increased significantly. In charge of the Tara Air in the airport Funuru Sherpa informed daily flights ranging from 12- 15 takes daily. Now in the season 70-80 flights lands and takes off are expected to take fortnightly.